No! 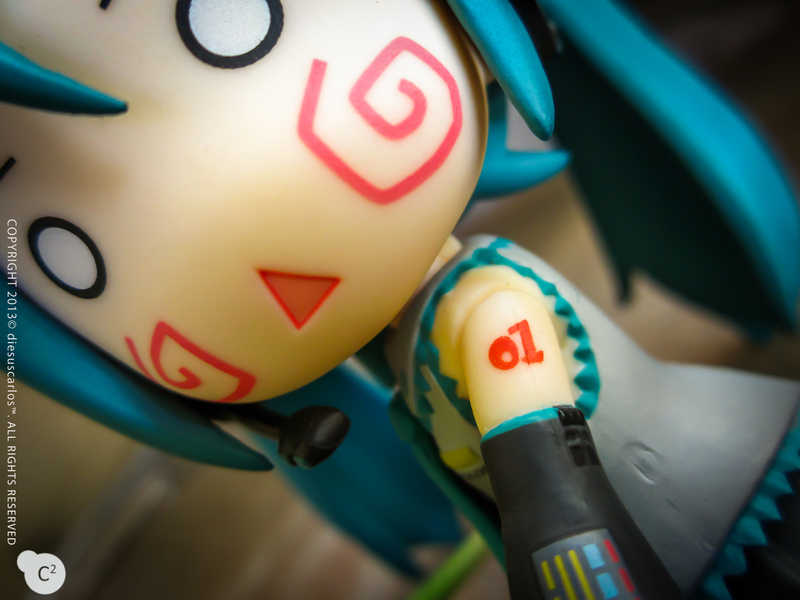 Miku-chan is not an anime character at all despite her fame in the anime/otaku world. Let’s see how Miku feels about people who thinks she’s from an anime series. Aww. You’ve made her cry. Surely she’s hurt. But who is Hatsune Miku (初音ミク) you say? 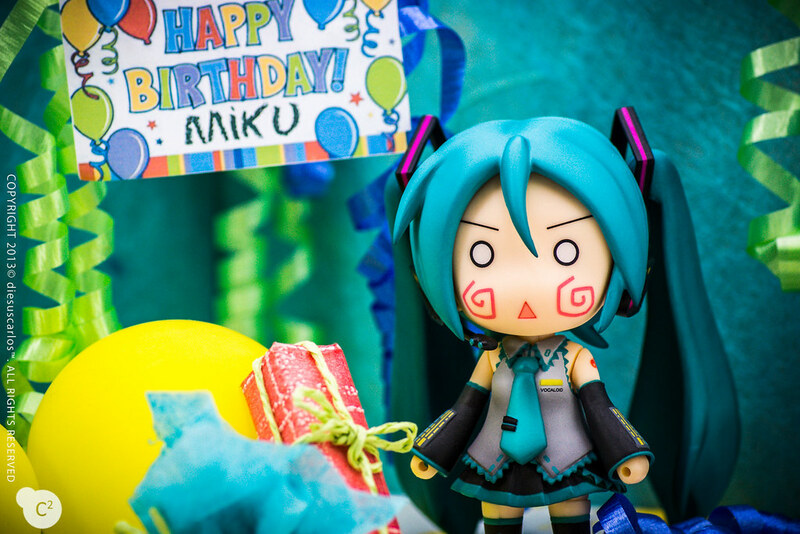 Miku-chan is a Vocaloid – a vocal synthesizer software. It enables users to synthesize voices and create a song, a speech or whatever things you can do vocally. I personally have experienced using this software and it was quite fun! You encode your notes along with the quality you’d like it with. For example, you dictate how long a note should be and you can put a vibrato or tremolo at the end of one line. You can encode your lyrics in each of the notes as well. EACH NOTE needs a pronunciation because if you don’t, you’ll end up with an awkward “aa” lyrics in the middle. Grooling, huh? It took me days to synthesize a three minute song. Shame that I don’t have a copy of my project at that time anymore. But that was just a copy cat of the Pachelbel’s Canon in D Major of which you can find versions on YouTube. 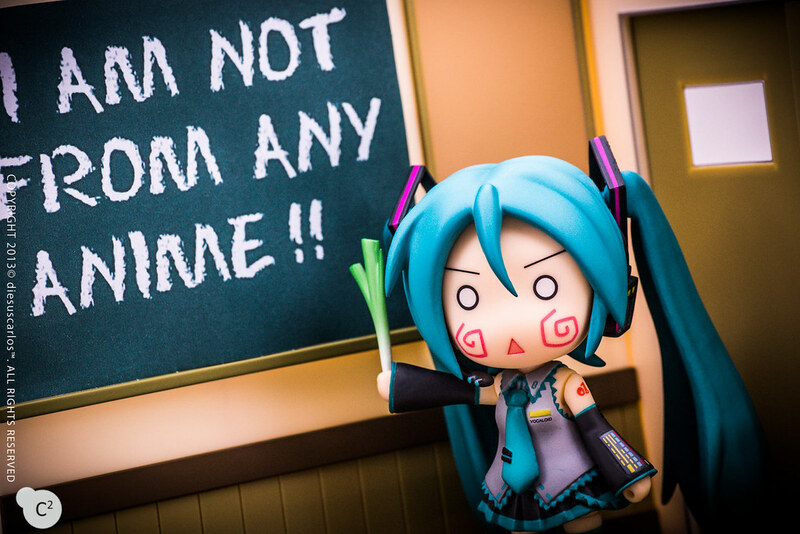 Now you know who Miku-chan really is, she still wrote this reminder for us. Sooooo cute! All the versions of Vocaloids were named but the most popular of them all was Hatsune Miku. 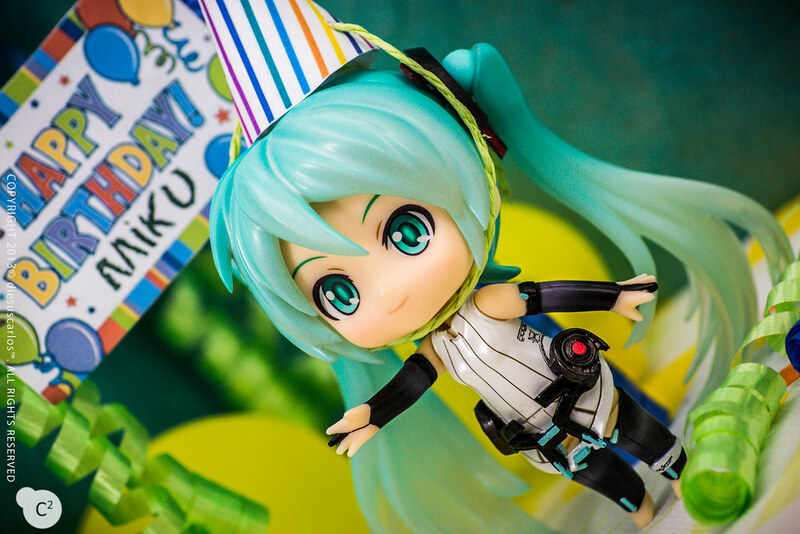 Overall, she is the seventh Vocaloid to be created. So why this mark? 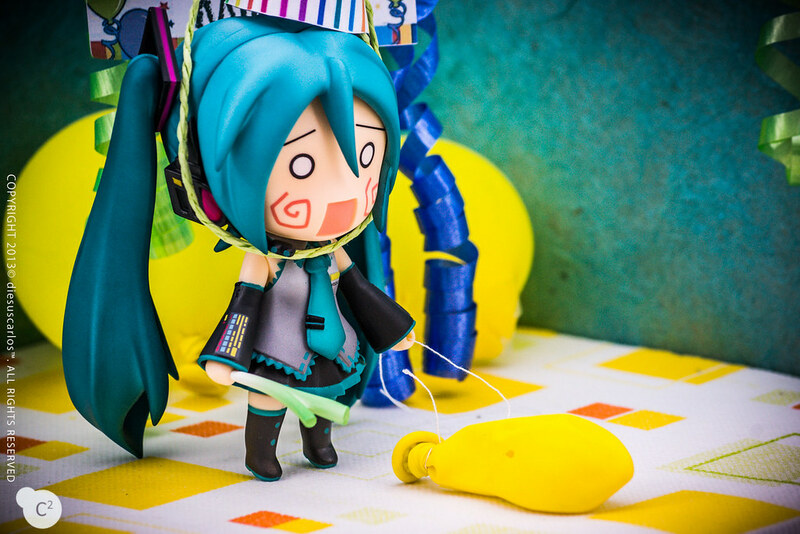 Well that’s because she’s the first Vocaloid under the Character Vocal Series. Hmm… I mentioned that all of them were named but not all of them had personas. Simply put she’s the first mascot/avatar to be created! 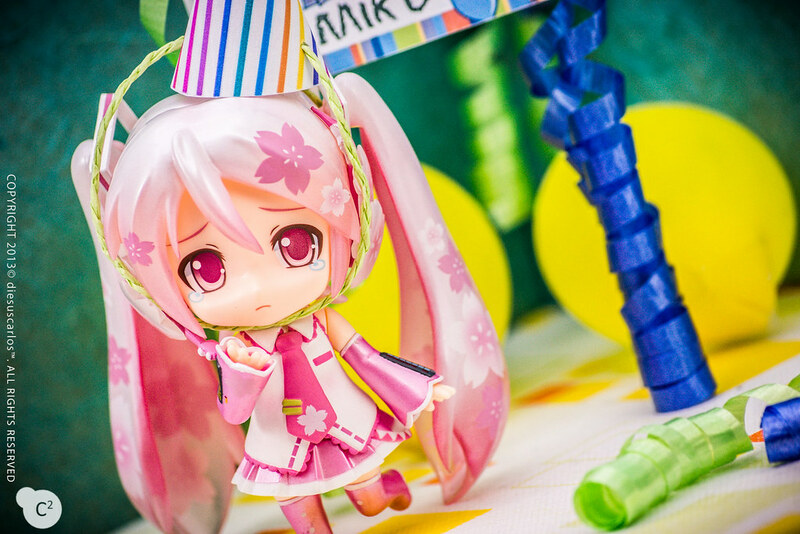 To date, she’s the only Vocaloid who actually held a concert! It was last 2009 if I remember it right. (Correct, she beat Tupac in a virtual concert). This just basically added different voice moods to the original Miku voice bank. 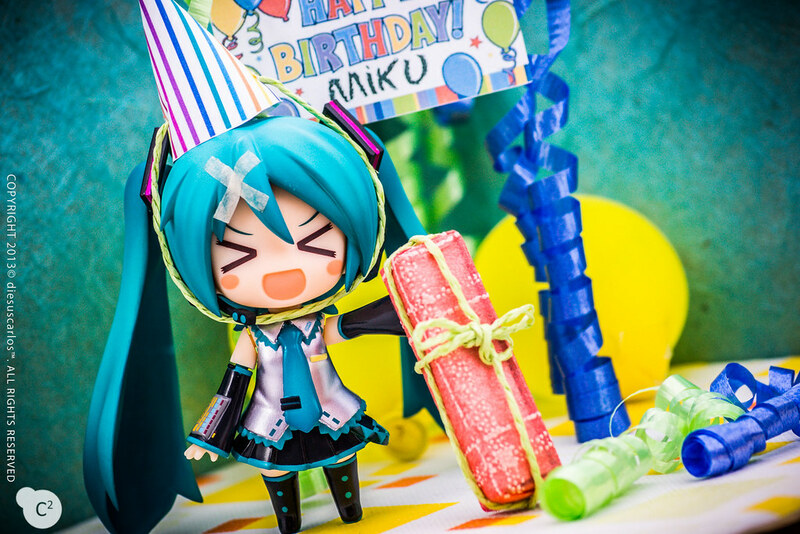 Well since this is a photo blog, here are my pictures of Hatsune Miku to commemorate her birthday! Hachune will give a present! 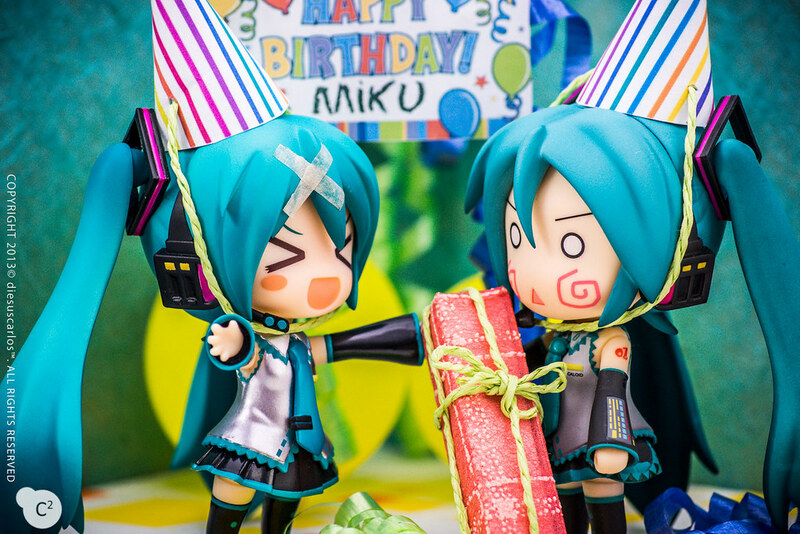 Mirai Miku: Why thank you Hachune-oneechan! 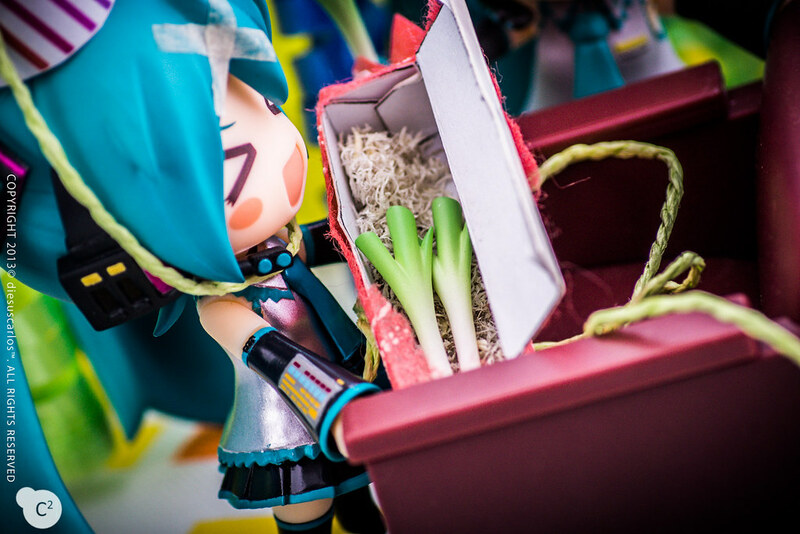 It’s a high grade negi!! 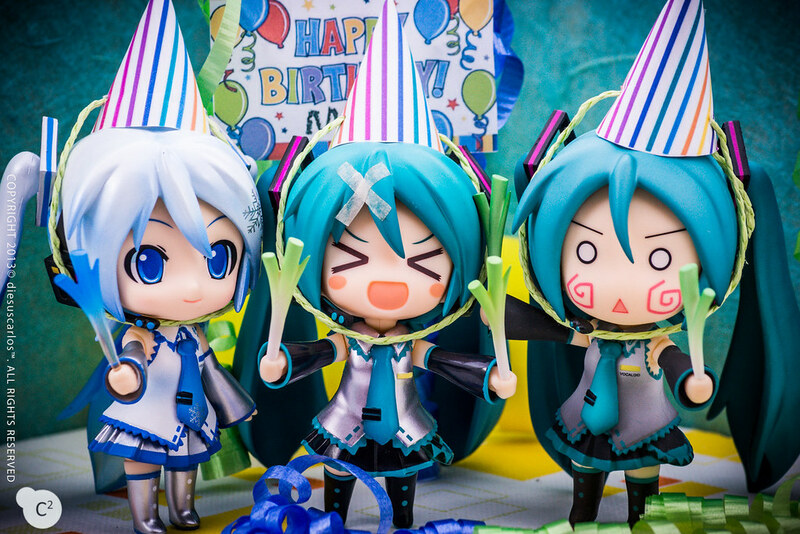 Posted in Figure/Doll Photos, NendoroidsTagged birthday, figure photography, figure review, figures, good smile, good smile company, hachune, hachune miku, hatsune, hatsune miku, kawaii, miku, nendonesia, nendoroid, nendoroids, sakura miku, toy, toy photography, toys, vocaloidBookmark the permalink. Great photos man! She’s my favorite character to collect goods for as well!! 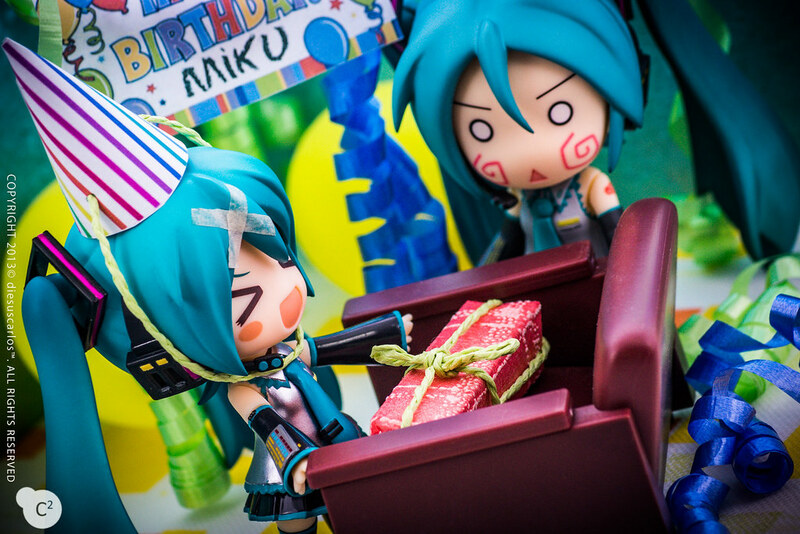 I’m actually planning on taking some similar photos later today; but first I need to make the present boxes and maybe get a cake.